The two brick-built Temples, with square bases probably had domed top in their original shape. Their facades are of carved bricks. The main Temple faces east and the small north and they are interconnected with a passage and is datable to c. 1550 AD. The larger temple has an inscription over its doorway. 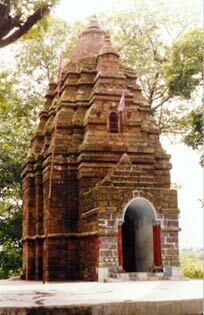 This is a Siva Temple and built with laterite and sand stone in North Indian style. 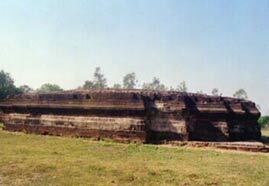 It is a rectangular structure and its facades are broken into seven rathas. Due to repairs undertaken in different periods its original features are somewhat obliterated and its date of erection is not known. 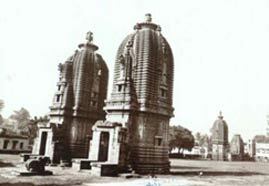 This is a group of four Temples, out of which two consists of a simple cell each, surmounted by a tower-roof and there are traces of a mandapa in front. The towers are richly indented. The temples are the finest existing examples of their type. An inscription in one of the temples written in Proto-Bengali mentions the name of Raja Harish Chandra as the builder of the temples. The earlier one is datable of c. 15th century AD. The tombs of Sher Afghan, Governor of Barddhaman and first husband of Mehr-ul-Nissa (Nur Zahan, later wife of Emperor Jehangir) and of Qutbuddin, foster brother of Jahangir lie under a flat-roofed open structure. 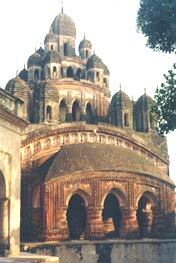 The tomb of Baharam Sakka, Akbar's preceptor lies under a domed structure. 1610 AD. 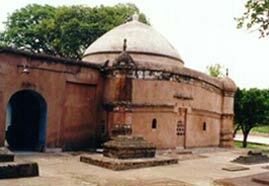 Sher Afgan and Qutbuddin died in 1610 AD but the tombs have been renovated by the king of Barddhaman. 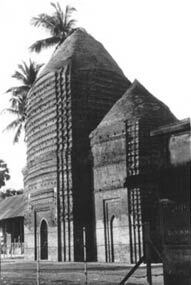 This stone temple built over a platform has a Bengal hut shaped roof and arched entrance. c.14th century AD. 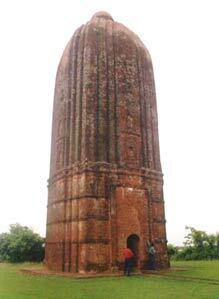 It is a late mediaeval brick-built Temple of the sikhara type without any image. 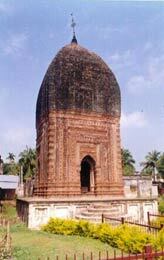 Tradition says that Ichai Ghosh constructed the temple in honour of the Goddess Bhagabati. The temple wall has some ornamentations. Mid 18th century AD. 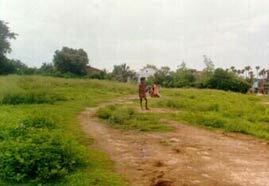 This ancient site was excavated by the Archaeological Survey of India during 1938. Stone celts and other stone flakes, pottery, semi-precious stone beads have been found from here. This brick-Temple shows the features of the Nagara style. The ground plan is pancha-ratha, surmounted by a curvilinear tower. The temple has stucco works over carved bricks. Jaina sculptures found at the place may indicate that it belonged to the Jaina faith and the temple is datable to c. 10th-11th century AD. 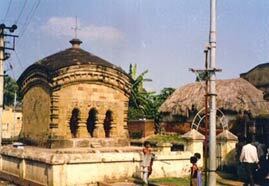 A group of 12 Temples in traditional Bengal chala and Ratna type were built in the early c.19th century AD by the King of Barddhaman located at a spot known as Rajbari compound. The temples are of both Vaishnavite and Saivite cult. 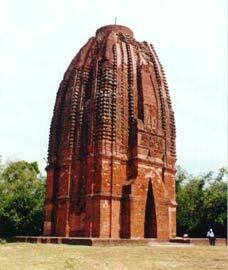 Some of the temples like Lalji, Pratapesvara, Krishna Chandraji contain exquisite terracotta and brick carvings. 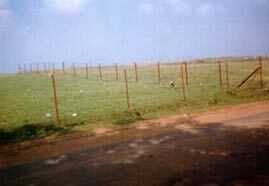 The site was partly excavated by the Department of Archaeology, Government of West Bengal (1962-65). Four main periods have been identified - Proto-historic, iron age, early historical to mediaeval.